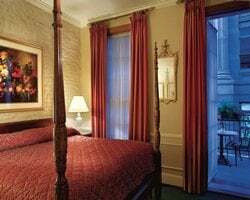 Located at Canal and Decatur Streets, *Club La Pension* is within a short walk of everything the French Quarter has to offer. Cafe Giovanni is located on the resort grounds, and Bourbon Street, casino gambling, the Mississippi River and shopping are nearby. This resort offers studio, 1 and 2 bedroom units with air conditioning, full kitchens and all the other amenities that are expected in a resort of this quality. Centrally located near everything needed for a great vacation! Floating week! Buyer may receive a title fee credit, inquire for details! Ideal location for enjoying the very best of New Orleans! Week 9! Buyer may receive a title fee credit, inquire for details! Elegant resort close to the best entertainment in New Orleans! Week 51! Buyer may receive a title fee credit, inquire for details! 4,000 annual points! 5 additional weeks available for buyer! Buyer may receive a title fee credit, inquire for details! Great resort just blocks away from world class entertainment, shopping & more! Buyer may receive a title fee credit, inquire for details! Central location near everything needed for a great vacation! Buyer May Receive A Title Fee Credit, Inquire For Details! Just minutes from a variety of activities and attractions New Orleans is known for! Buyer may receive a title fee credit, inquire for details! Ideal location within walking distance of many well known amenities! Buyer May Receive A Title Fee Credit, Inquire For Details! 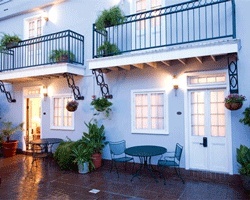 Within walking distance to the all the excitement in the French quarter! Buyer May Receive A Title Fee Credit, Inquire For Details! Bourbon Street Property! Buyer May Receive A Title Fee Credit, Inquire For Details! 3 blocks from Bourbon Street, famed Giovanni's restaurant on site! Week 18 each year in The Big Easy during Jazz festival week!! Buyer may receive a title fee credit, inquire for details! Explore New Orleans during week 23 and enjoy all the culture, entertainment and more! Buyer May Receive A Title Fee Credit, Inquire For Details! Highly motivated seller. Sale includes an additional 8,000 points! 8,000 banked points included! Buyer May Receive A Title Fee Credit! 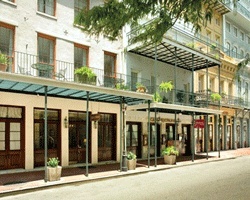 Perfect resort for enjoying The Big Easy! Make an offer today! Buyer may receive a title fee credit, inquire for details! Option to stay in New Orleans or any resort in the Bluegreen network! Buyer May Receive A Title Fee Credit, Inquire For Details! Explore all the entertainment, incredible food options & so much more in New Orleans! Buyer May Receive A Title Fee Credit, Inquire For Details! Annual week 15! Within walking distance to many activities! Buyer May Receive A Title Fee Credit, Inquire For Details! Motivated Seller! Willing to consider all reasonable offer! Beautiful resort near New Orleans famous Bourbon Street! Inquire for details! 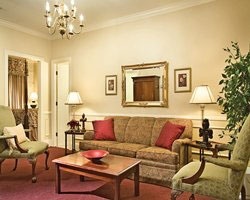 Elegant resort ideally located close to New Orleans' best entertainment and attractions! Buyer may receive a title fee credit, inquire for details! Highly motivated seller! Ideal location in the middle of all the excitement! Price negotiable Buyer May Receive A Title Fee Credit!